Blue Diamond Luxury Boutique Hotel is an adults only destination perfect for couples and honeymooners. 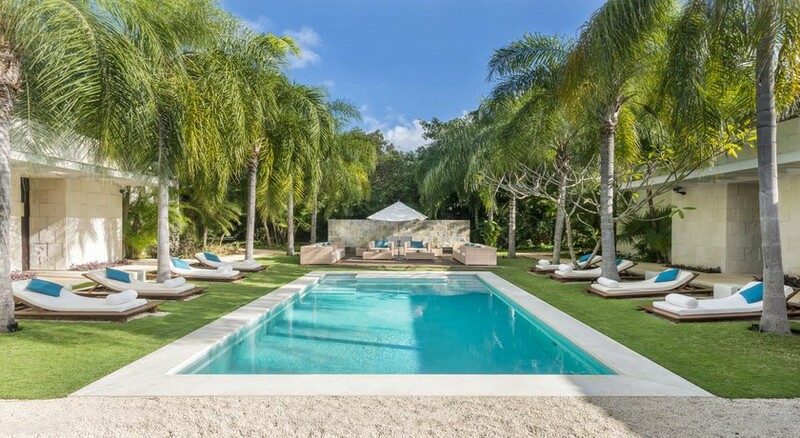 Set amid the tropical gardens of the Riviera Maya, fringed by natural lagoons, enchanting cenotes and mangroves, this 5-star property is an oasis for guests seeking a serene getaway. The hotel offers a relaxing and friendly ambiance, with quality amenities and facilities comprising of three spectacular swimming pools, a luxurious spa, a fitness centre, beauty salon, watersports, and of course, a stunning stretch of sand just steps from the hotel. 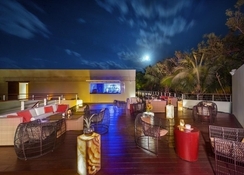 Blue Diamond Luxury Boutique Hotel has both indoor and al fresco dining opportunities within its exclusive restaurant scene, plus chic rooftop bars and elegant lounges to match – creating an idyllic ambience for guests to enjoy day and night. The 128 rooms and suites showcase luxurious limestone and wood interiors, floor-to-ceiling windows and a range of first-class amenities, including a spacious balcony or terrace area to enjoy. 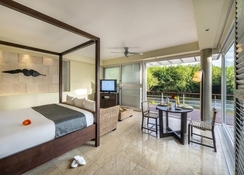 Located 45km from the Cancun International Airport, the Blue Diamond Luxury Boutique Hotel is an adults only property nestled within the resort's natural surroundings, and just 1.4km from the beach. Playa del Carmen is around 7km from the hotel, but you’ll also find restaurants and shops very close to the hotel. Places of interest you might want to visit are archaeological eco-park of Xcaret (17km), Xel-Há Park – known for caves, diving and blue lagoons (55km) and Mayan Archaeological Site of Tulum (70km). Furnished with 128 suites, Blue Diamond Luxury Boutique Hotel is a 5-star property tailored to cater to adults, couples and honeymooners. Designed with a balcony and veranda (ground floor), the luxurious suites come fitted with amenities such as an en-suite with complete bath amenities, hairdryer, dry blower, air conditioning, ceiling fan, safe deposit box, WiFi, a spacious work station, iPod stand, electronic doorbell, radio alarm clock, two separate rain-showers, two individual washbasins and much more. Room service is available round the clock; room cleaning, towel & linen changes are done daily. 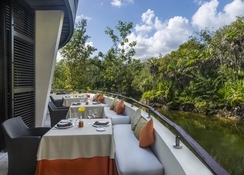 The hotel features five a la carte restaurants and bars to indulge in. Ámbar is the main restaurant where breakfast, lunch and dinner are served daily. You'll find an assortment of selected local and International cuisines, finely prepared and served by top-quality chefs. 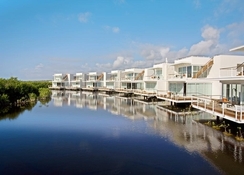 Also, Aguamarina located on the second floor offers spectacular views of the Caribbean Sea. The Seviche Tapas, the Cigar Lounge, the Cafe Brulee and the Pool Bar are four places where signature infuses and mixes are served. They also serve light bites and snacks along with hot and cold non-alcoholic beverages. As for recreational activities and facilities, the hotel has three swimming pools—drinks are served around the pools. A luxurious spa complete with pampering treatments and massages, plus a swanky gym that comes fitted with a la mode machines. Popular activities within the premises are table tennis, yoga and Spanish classes, board and card games and wine tasting. If you fancy splashing around, you’ll find activities such as kayaks, sailing, horse riding, fishing trips, diving, helicopter rides, golf course, snorkelling, parasailing and more of such adventurous activities here at the hotel.